2015 is almost 2 weeks old, and it already feels like we’re halfway through the year. 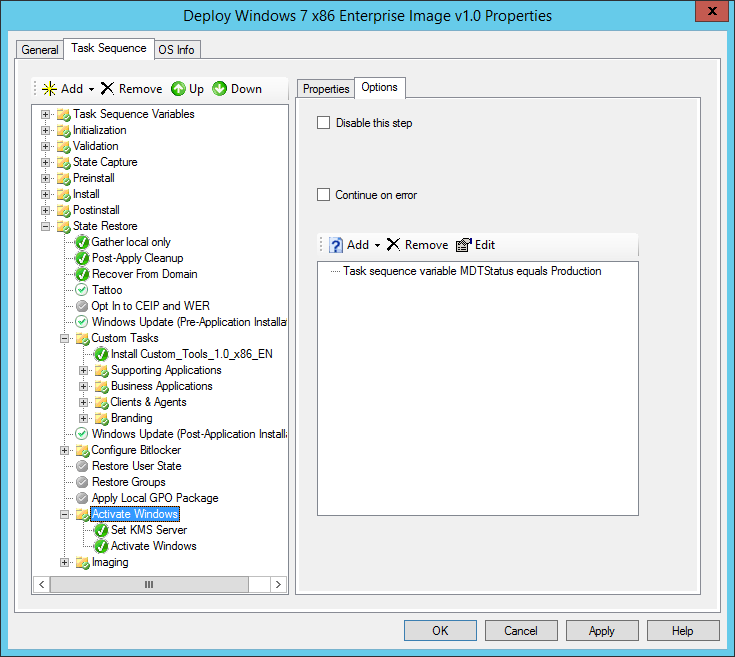 Just a quick post I wanted to share with you all, about building, developing and testing an MDT environment that is going to be used for production purposes. I often find myself forgetting to disable certain steps in MDT during testing, that effect’s the turnaround time a certain task sequence is taking. 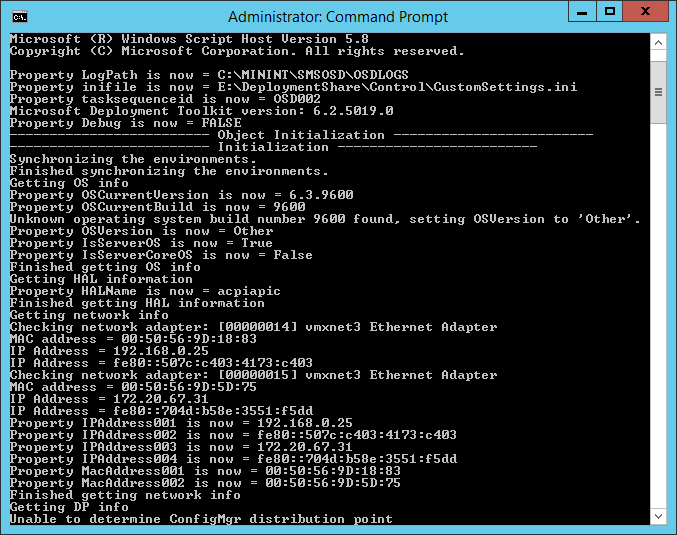 For example, testing an entire roll-out, from OS deployment up to application installation takes quite some time. And if you have forgotten to disable the Windows Updates step, during this test, and new updates are available, you’ll lose valuable time that could have been spent otherwise, whilst Windows Updates is a guaranteed step in your task sequence that works. 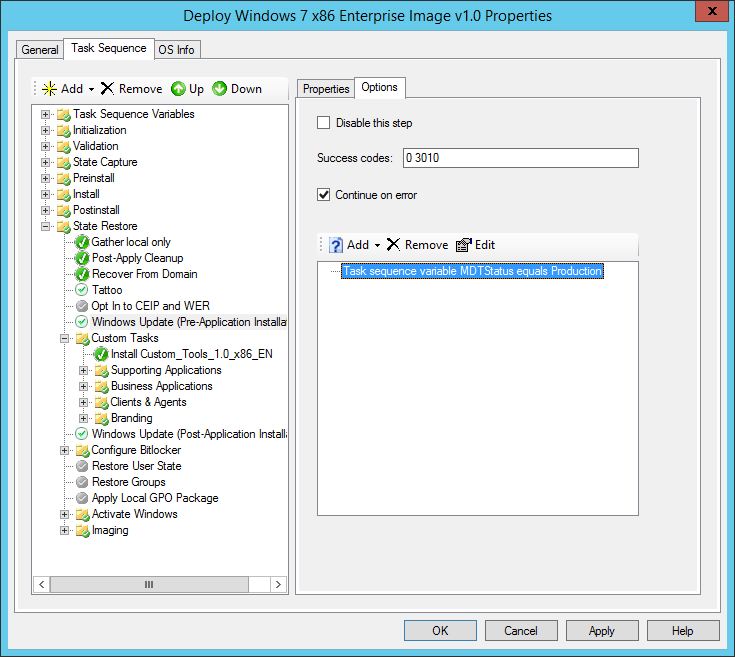 Or another example, Windows Activation, against KMS or MAK, should that run when testing? 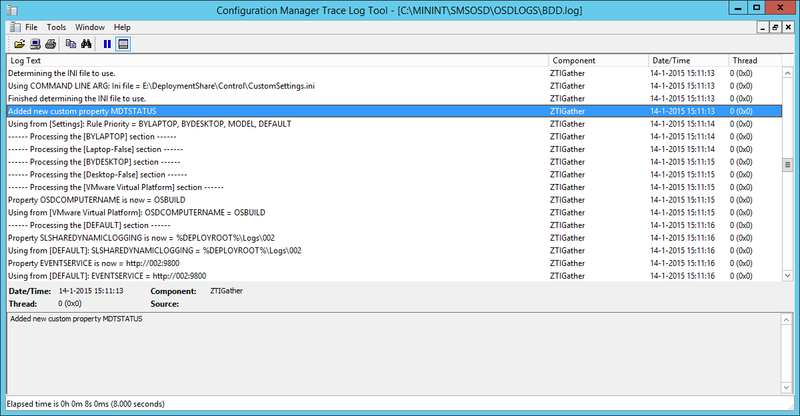 OK, so we can create development task sequences, copy tasks back and forth. But what about making things less complex and work with something cool as Custom Properties? 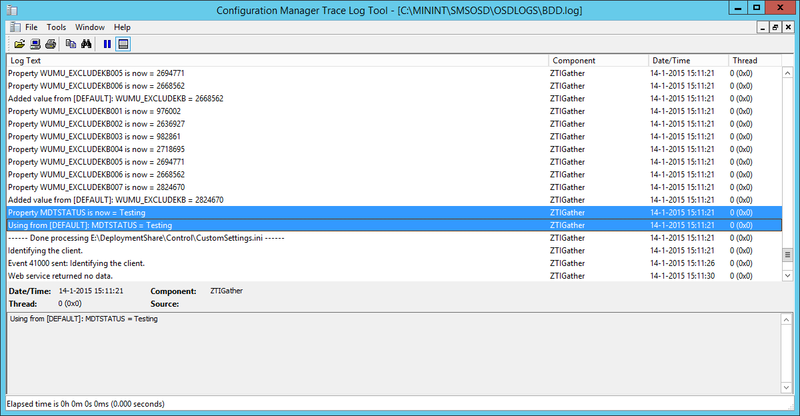 ; Status of the MDT Environment: "Development", "Testing", "Production"
When the ZTIGather script is finished processing, you’ll find the following folder in the root of your C:\ Drive: “C:\MININT\SMSOSD\OSDLOGS” and within that folder you’ll find the BDD.log which is used by MDT to echo all actions of the steps that are executed back to this particular logfile. And there you have it, setting an entire MDT environment in a certain mode enables you to perform testing without being bothered with steps that impact the turnaround time, or make you spill your MAK keys for no other reason then testing.